This year has been one of the worst on record for wildfires in the Western U.S. According to a recent report from NPR; there are 123 large wildland fires burning on about 2 million acres of land in California, Oregon, Washington, and Montana. The National Interagency Fire Center is stretched thin with 25,000 responders out in the field. 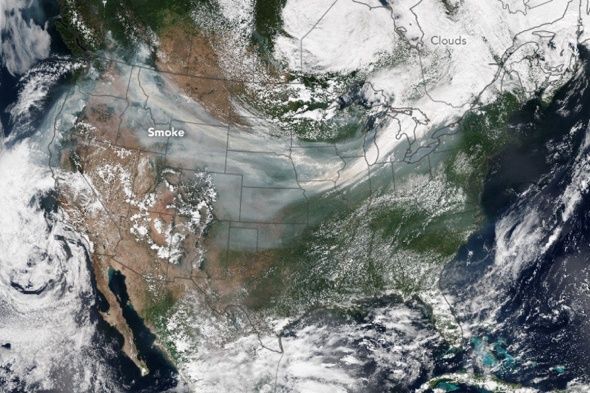 Satellite images show a huge swath of smoke stretching across the country from the Pacific Northwest to the Great Lakes. Trends are showing that the fire seasons have become worse over the years for several decades. Some fires (but not all) have been caused by utility poles and wires. It is critical for pole owners to have the tools to manage and maintain assets in high fire-risk regions. As we discussed in our last post, most asset owners do not currently have the tools needed to effectively manage their plant resourcefully. A tool is needed that can combine asset data (location, condition, number and names of attachers) with appropriate boundary data; the tool is a centralized asset database like Alden One®. To reduce risk and to prepare state and federal agencies, many states have developed fire mapping. 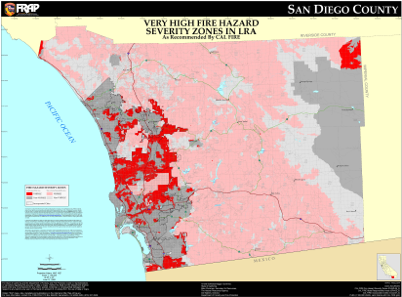 Often based on computer models, fire mapping establishes zones of varying risks. 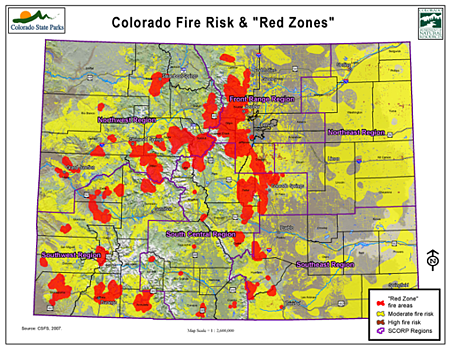 Regions are evaluated based on the probability an area will burn and the potential fire behavior, considering factors such as fire history, existing and potential fuel, flame length, blowing embers, terrain, and typical weather for the area. This data is used to produce a map that defines areas from low to high risk. These maps and related planning efforts help states to reduce firefighting costs and property losses, increase firefighter safety, and contribute to ecosystem health. Fire mapping can be integrated into a shared, centralized asset database, enabling asset owners and attachers to prioritize pole replacement and maintenance work in areas of highest wildfire risk. Hands-on maintenance work can also be scheduled to avoid high-risk seasons such as summer and early fall. 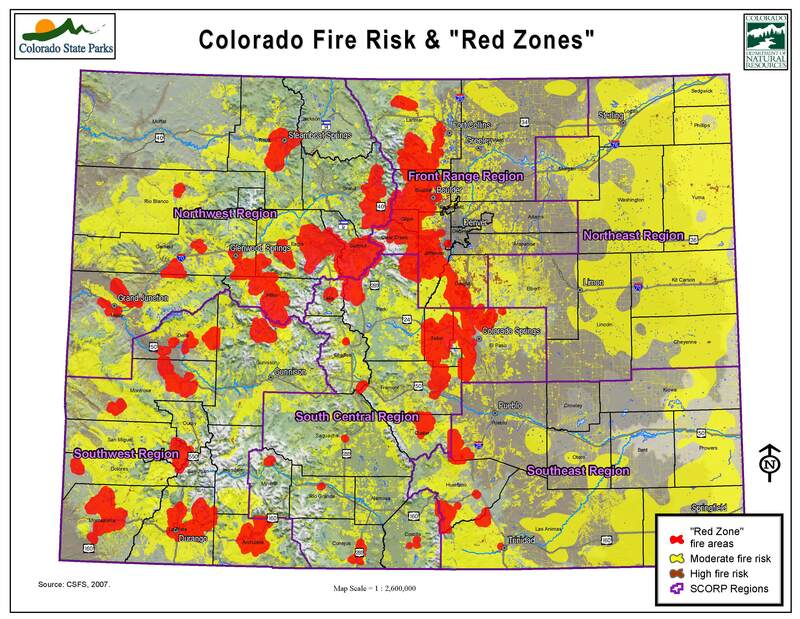 In the case of an active wildfire, asset owners could use data to identify zones where fires or other natural disasters are likely to occur and ready themselves for faster restoration. The same shared, centralized asset database can tie into real-time updates on wildfire conditions such as the USDA Fire Service’s Active Fire Mapping Program and the Red Flag Warning System—a joint effort between state, federal, and local fire agencies to pass along critical fire weather information to users and occupants of wildland areas. Real-time data updates can help asset owners prevent a fire being started by any of their equipment, and can enable them to better protect their field technicians and assets. Notifications can be automatically distributed to attachers for assets in an at-risk region. While fire mapping is an essential part of keeping fires at bay, other preventative actions can be taken by asset owners and attachers to decrease the likelihood of wildfires. For instance, ceasing tree pruning and removal activities when fire season is likely, would decrease a chance of detached trees catching fire. Discontinuing grinding and welding work for a period would reduce sparks, and restricting vehicular travel to cleared roads only, except in case of an emergency, would keep risks at a minimum. The key to more efficient, effective, and cost-saving asset management is a shared, centralized asset database. This system of record provides asset owners with a unified view of field assets in bulk; gives users access to the data that they need to do their job; and securely shares select data with attachers, third-party contractors, and other key stakeholders. The database can also be synced with other critical business applications and resources, such as GIS, work management systems, accounting, and tax systems. Automated workflows can be created to manage proactive maintenance schedules and enforce company policies. A shared, centralized asset database like Alden One® gives asset owners a system to establish and maintain proactive maintenance schedules – which can deliver significant cost savings and can reduce the risk of damage from asset failures, such as property damage or fire.